It’s a rainy Sunday afternoon here in Wake Forest, and Henry – my 11-year old – and I just got home from seeing “42.” As we drove the the theater, I wondered how much of the film I’d have to explain to him. I wondered how many of the themes he’d actually understand. I wondered how the racial climate of that day would resonate with someone who has largely been oblivious to anything remotely similar in this day and age. As it turns out, I really had to explain very little. (Just some baseball terminology and some of the expressions of the day.) He got it. In fact, he asked very few questions, and as the film ended and the title cards began to appear, he sat quietly and just watched. 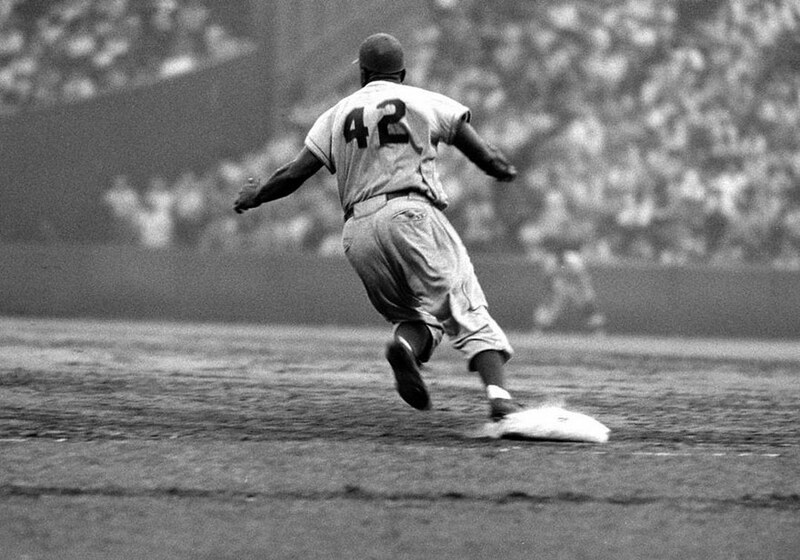 Then the title came up that read, “42 is the only uniform number retired by all of major league baseball,” he said, “Really? That’s really cool.” The film was very well done because you don’t have to explain anything – it’s presented in a way that anyone can understand. I’ll test that theory when I go next week and take my 9-year old daughter. Can’t wait to see it again.